We discussed the outlook and future of the African airport industry with Safegate Group’s Alexander Herring, Managing Director of Safegate Germany and Safegate France. 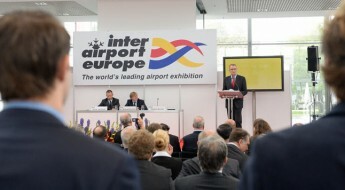 Since the 2010 Airport Expansion and Development Africa conference, Alexander has been a frequent contributor, chairperson and speaker at a number of similar events, such as Modern Airports Africa and Airport Summit Africa conferences, that bring together aviation’s leading thinkers and decision makers from across Africa and the world. What are the most exciting trends in the African airport industry? Airports play a vital role in economies in Africa and everywhere else. We can see that Africa is experiencing a significant rate of economic growth which means airports need to adjust to increasing numbers of air travelers domestically and internationally, not to mention rising cargo and freight demand as well. The industry is addressing this through airport modernization and expansion programs and the development of Greenfield airports. There are a lot of opportunities to support and enhance the continent’s growing economies. 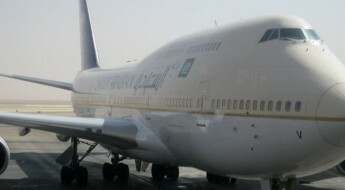 Air traffic expansion is an emerging issue in the global airport industry right now. How will airports be affected by this in the future? Today, most airports, governments and international institutions predict that air traffic will double in 15 years. If airports do not adapt to this incredible surge in demand, millions of people simply will not be able to access air transport when they want to. It could be a huge loss in business and economic growth. In your view, how are African airports meeting the challenges of air traffic expansion? I would say they are focused on improving airport performance which is a fairly new concept in aviation. African airports are starting to see operational performance means improving safety, optimizing efficiency and doing so in an environmental and power saving focus in terms of minimizing C02 emissions, for example. This holistic approach that views the airport as one system will allow airports to absorb the forecasted air travel demand. Becoming attractive and competitive for international airlines, who demand better services to achieve faster turnaround times, also motivates them to invest in improving their performance. 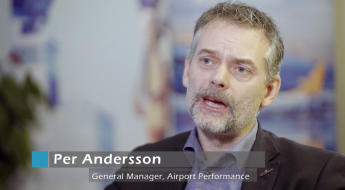 What do airports need to achieve better performance? Optimizing airport performance requires high quality and reliable technological solutions. It is clear the African airport industry is interested in integrated systems and solutions that add flexibility and control to their operations. This is especially important seeing as operationally, airport departments and stakeholders that used to work separately are now being integrated in the effort to maximize performance as well. This is happening all over the world. Together, airport performance enhancing integrated solutions and stakeholder integration initiatives, like Airport Collaborative Decision Making, will pave the way for a smooth adjustment to future air traffic demands. African airports, independent of the airport size, are looking ahead and long-term planning seems to be more and more common. After all, Africa has a strategic position globally to be a vital hub in the transportation of goods and people. Technology and the right approach can significantly contribute to achieving this future. Alexander will be speaking and chairing various upcoming conferences, such speaking at the Airport Infrastructures and MRO Aviation Meetings this September in Addis-Abba, Ethiopia, and chairing the 4th Annual African Airport Expansion Summit in spring 2016.